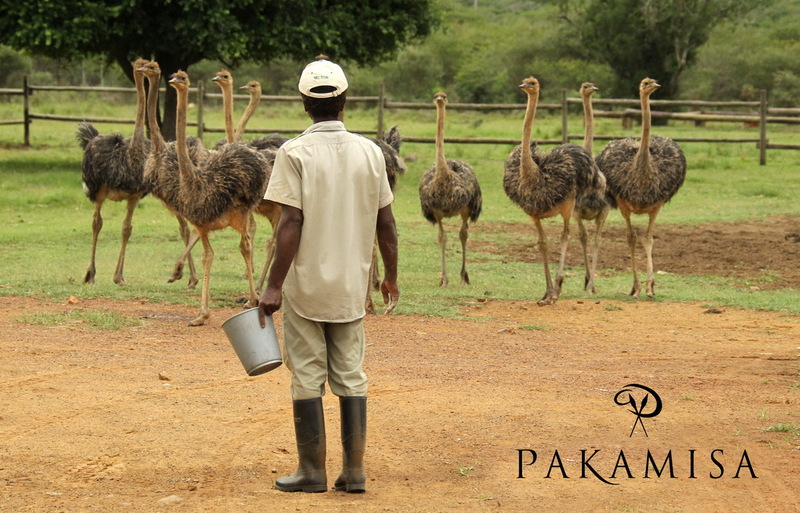 Pakamisa guests love to see our ostriches grow up. This picture series documents the growth of our current youngsters from two days after they hatched until today. 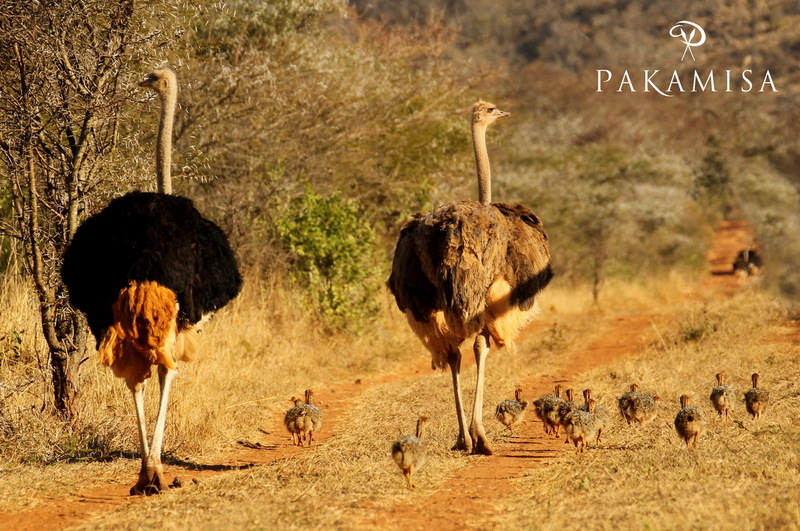 Enjoy this Ostrich affair! A few days old – during the first year of life chicks grow at about 25 cm (9,8 in) per month! 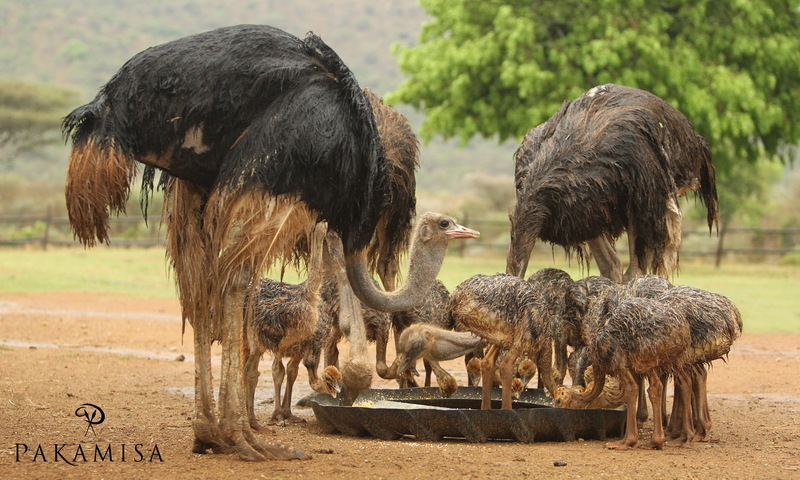 Five weeks old at their evening dinner after heavy rainfalls – The incubation period for ostriches is 35 to 45 days. 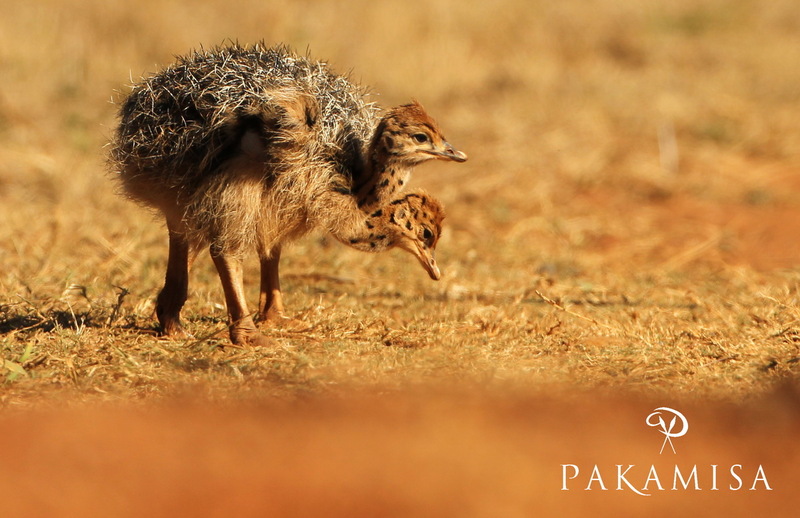 Five weeks old on the way back to the stables – These flightless birds can run up to 70km/h (43mph). Three months old ready to eat – Their lifespan is up to 45 years. 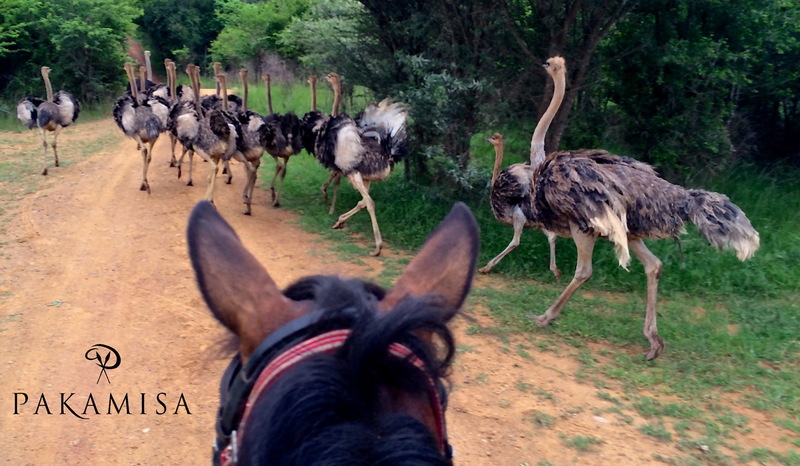 Four months old keeping up with the horses – At one year of age, ostriches weigh approximately 45 kgs (99 lbs). Pictures by Christian Sperka & Isabella Stepski. Great series of photos!!! Interesting facts. Thanks for sharing. 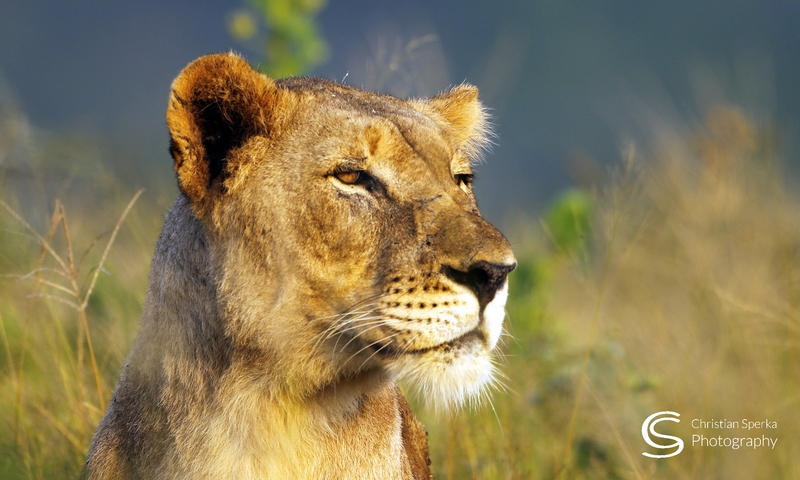 Do you have them at Thanda? 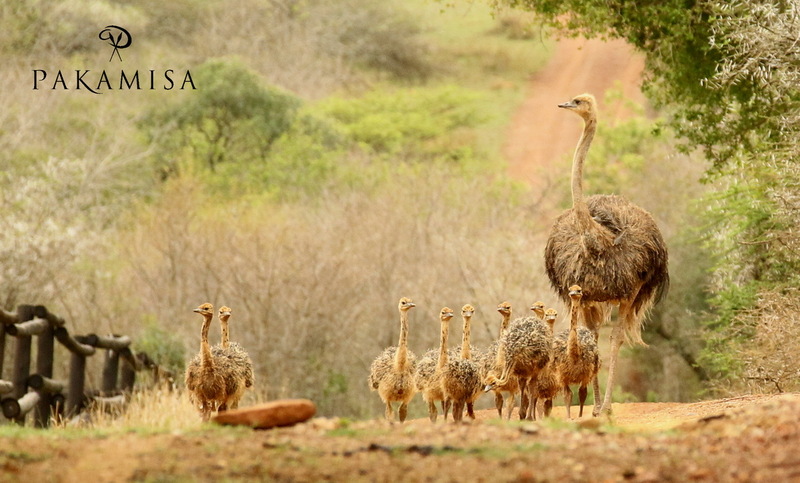 They sure are happy little ostriches! Just taking a stroll. I also enjoyed the story & pics of the servals arriving at Pakamisa. Awesome little cats! Previous PostPrevious What a sighting!